What is better than performing for a room full of Ag folks? Having legendary radio personality Taylor Brown emcee the event! Taylor Brown is widely known as one of the nation’s leaders in the field of agricultural broadcasting. 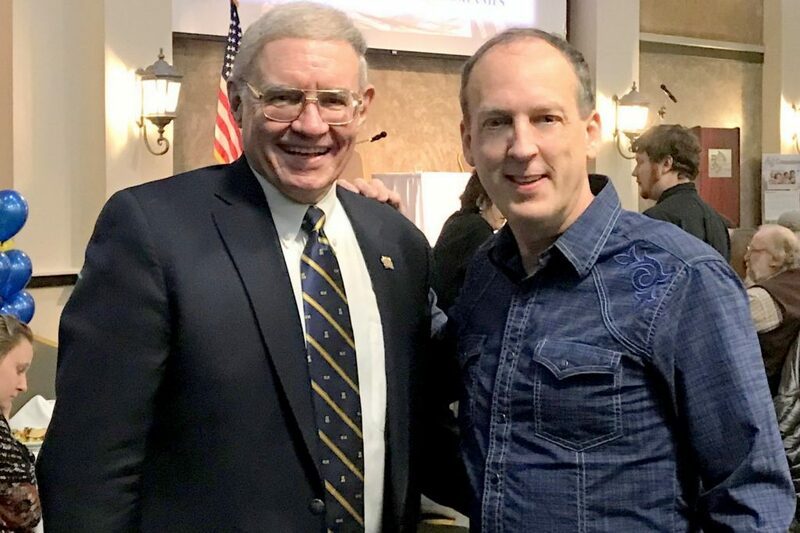 With perhaps the most recognized voice in the intermountain west, Brown has played a huge role as an advocate for western agriculture since he joined the Northern Broadcasting System as a regional farm broadcaster in 1979. 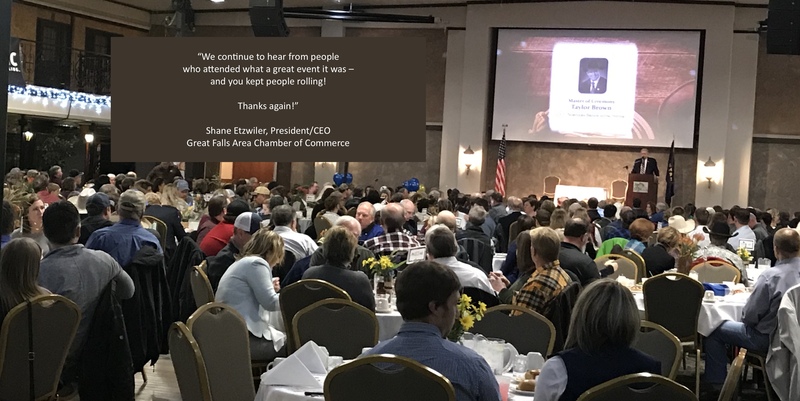 Today as it’s owner, he heads up a team that every market day produces over three dozen news, market, weather and sports information programs for over 60 affiliated radio stations in 4 states; plus two daily ag television programs that are seen on 10 Montana and Wyoming TV stations. 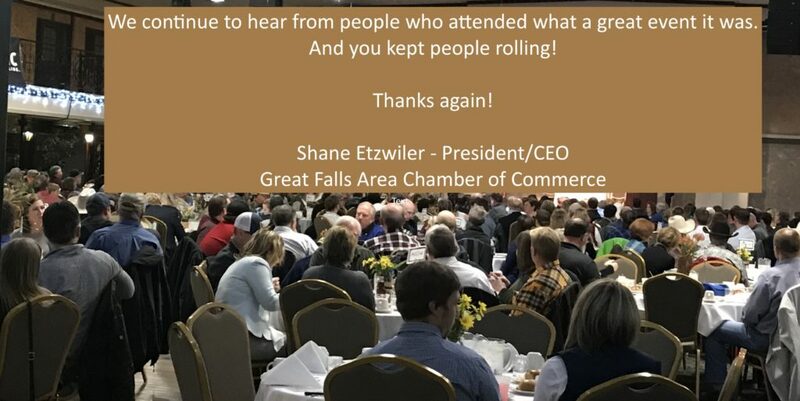 Thanks to the Great Falls, MT Chamber for putting on an Ag Appreciation event. These hard working folks deserve a night out to laugh and relax. And thanks to Taylor Brown for making the night run smoothly! This entry was posted on Monday, February 11th, 2019 at 1:09 am	and is filed under Uncategorized. You can follow any responses to this entry through the RSS 2.0 feed. You can leave a response, or trackback from your own site. This entry was posted on Monday, February 11th, 2019 at 1:04 am	and is filed under . You can follow any responses to this entry through the RSS 2.0 feed. You can skip to the end and leave a response. Pinging is currently not allowed.